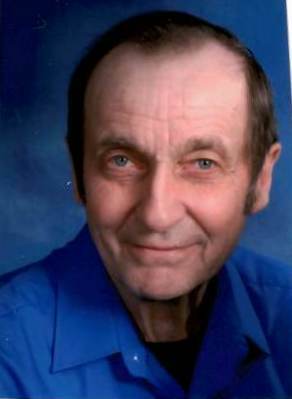 Gordon Thomas Pawlicki, age 75, of Silver Lake passed away on Saturday, February 10th, 2018 at Hutchinson Hospital. He was born on November 12, 1942 in Hale Township, McLeod County, Minnesota the son of Joseph and Elizabeth (Horstmann) Pawlicki. He was joined in holy marriage to Eileen A. Schultz at St. Joseph Catholic Church in Silver Lake on September 1, 1964. God blessed their marriage with four children. Gordon honorably served his country in the National Guard. He engaged in dairy farming for many years, worked at Tonka Toys and worked for 20 years at Advanced Machine before retiring. Gordon belonged to The Oliver Club and enjoyed their yearly trips. He also enjoyed going to auctions. He was a faithful member of Holy Family Catholic Church in Silver Lake. Survived by loving wife Eileen; children Daryl Pawlicki of Winsted, Jason (Brandi) Pawlicki of Hutchinson, Kyle Pawlicki of Dassel and Kelli Pawlicki of Reno, NV; grandchildren Charmaine, Chyanne, Kayson and Gianna; a sister Rose Barrick of Litchfield; a sister-in-law Diane Horstmann of Lester Prairie; nieces, nephews, other relatives and friends. Preceded in death by his parents, an infant brother Edward Pawlicki, brothers-in-law Jim Barrick and Robert Horstmann. Mass of Christian Burial for Gordon Pawlicki will be held on Friday, February 16, 2018 at 10:30 AM at Holy Family Catholic Church in Silver Lake. Father Michael Doyle will be the celebrant. Interment at St. Adalbert Cemetery. Visitation will be held at Maresh Funeral Home in Silver Lake on Thursday, February 15 from 4-7 PM. A parish prayer service will be held at 6:30 PM. Further visitation will be held at the church on Friday, February 16th one hour prior to Mass. Casket Bearers will be Ross Horstmann, Virgil Larson, Stanley Horstmann, Charlie Polifka, Mark Mickolichek and Ron Schmidt. Maresh Funeral Home, Silver Lake served the family.